Are you a dentist who wants to increase his customer base? If yes, then the digital world is the right place for you. In the digital world, social media is an effective tool to engage and attract customers in a cost-effective manner. Facebook and Twitter are commonly used social media platforms but in the recent times, Instagram has become a powerful tool to connect with customers. So if you are considering using Instagram to get more customers, then here’s your dentist guide to Instagram. Click the settings button on your profile. In the account section, click on switch to business profile. A business account should be a public account so you need to change it if you have kept it as a private account. Select the social media page where you are the admin and click on ‘link your account’ to your required social media page. On the ‘Setup Your Business Profile’ page, provide your business details and click on the ‘Done’ option. Your Instagram business account is ready for use. Start posting pictures that are relevant to your customer base. This may include pictures of your co-dentists, customers with smiling teeth, a dentist working on a customer, behind the scenes shots, before and after treatment pictures, products offered by you and others. When you post these pictures, tag your customers on your Instagram profile (with their permission) and make use of popularly used hashtags. By using hashtags, people are able to find you easily. You can be a part of some dental communities on Instagram and use their hashtag so that you are featured in their posts as well. Also, make sure you add the location from where you post your content. Adding your location is a great way to get engagement from the local community. Lastly, have a short description or a caption for your pictures so that customers know what your post is about. Apart from posting pictures, you can upload short video clips as well. Pictures usually get more likes on Instagram but videos receive more comments. Videos are usually for less than half a minute and so most people view it. Therefore, you can use videos to be creative and get more people following you. For this purpose, you can take help of a designer to create short animated videos for you. The animated videos can show some dentistry procedures such as root canal procedure, setting of dental veneers and others. In this way, you not only educate your customers but also assure them that the dental treatment carried out by you is a high quality treatment and safe as well. You can even advertise on Instagram with the help of sponsored ads that are free. You can create ads on Instagram using ad creation, Power Editor or the ads API. For more information on advertising, you can go to advertising on Instagram. Instagram focuses on showing ads to those users who are relevant to you. For this purpose, they use information about what a user does on Instagram, the parenting company that is Facebook and other third party websites and apps that a user uses. Hence, if you want to get more customers, you can try using the sponsored ads feature for the same. If you are using videos to advertise, they should not be more than 20-30 seconds as viewers may not be interested in long videos. Also, your ads should have a ‘call to action’ like asking the audience to ‘shop now’, ‘install now’ or if sufficient information cannot be provided then add a link that says ‘learn more’ which directs them to your dental website. This is the best way to get more people to follow you. Create on-brand content that people want to see in their Instagram feed. When you create strong content, it increases the likelihood of your account getting discovered by people who do not follow you. This can be either through Search and Explore or Activity, where users can view posts that their followers have liked. Make use of limited words in your ads and focus on the quality of image and video content. You can take help of a designer to help you develop some creative content on your video. Post regularly to engage with your audience. You can grow your audience by posting content at least once a day. Do not make the mistake of posting too much content for one day and then become inactive for next few days. It is important that you remain active on a daily basis. 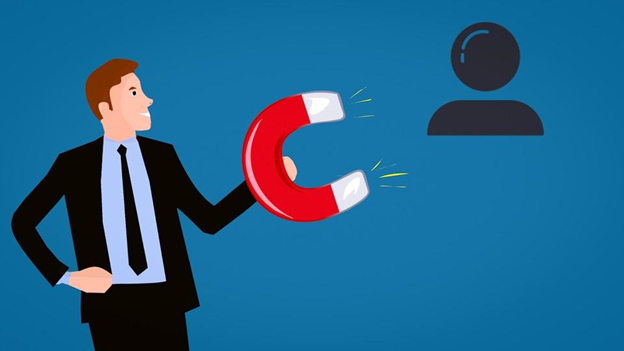 Your customers would want to connect with you as a trusted friend. So make sure that you post real photos. Use filters for good quality pictures but do not overuse them. When customers ask you any questions or comment on your post, take this opportunity to get in touch with them. Answer their questions openly where your other customers can see as well. Your customers are engaging with you, so make the most of this opportunity by responding back to them. This gives the impression that you care for your customers and thus, you can use this platform to build a relationship with your customers. Sometimes your customers may use your Instagram username in their description. So if you get tagged, make sure you respond back. No one likes their newsfeed to be filled with posts from the same page. By overposting, you risk getting unfollowed. Therefore, keep a schedule as to how many posts you want per day. For dental services, one or two posts per day is a common trend. On Instagram, the general opinion is to post real photos. So do not make the mistake of posting photos with words. Instead, you can give brief information in your caption section. Your audience would be irritated if you use excess hashtags on your post. Therefore, use few but relevant hashtags. To use Instagram successfully, you need to set specific, measurable, and realistic goals. This can be in the form of gaining 10 new followers every week, or an increase in number of comments and likes for your posts. You can also decide to host some contests with a call to action and generate responses from about 100 people. The contest can be for best photo or video sharing. This way you will figure out what is working for you and where you need to make changes in engaging with your audience. Moreover, since you will use a business account, Instagram will also provide you with analytical data. So you can monitor your performance and make any changes if needed. Follow this dentist guide to Instagram to gain maximum from using this social media. Today, there are over 500 million active users on Instagram and so it provides dentist a great opportunity to reach out to a huge volume of the population. So make sure you do not delay, start making your brand’s presence felt on Instagram and build long-term relationship with customers. If you need any help in order to market your dental service, then contact an expert marketing agency. What can a dentist do to get more patients in 2017? When a marketer starts to promote their business, they need to identify the right channels to carry out marketing activities. If you are a practicing dentist, then you need to identify channels that will get you increased visibility. One such channel to promote your brand is through social media. Today, a large number of Canadians are using different social media platforms. So why not leverage this trend and promote your practice by using social media for dental clinics? But do keep in mind, when using social media for dental clinics, you need to ensure that you do not end up making mistakes as it can have an adverse effect on your online reputation. 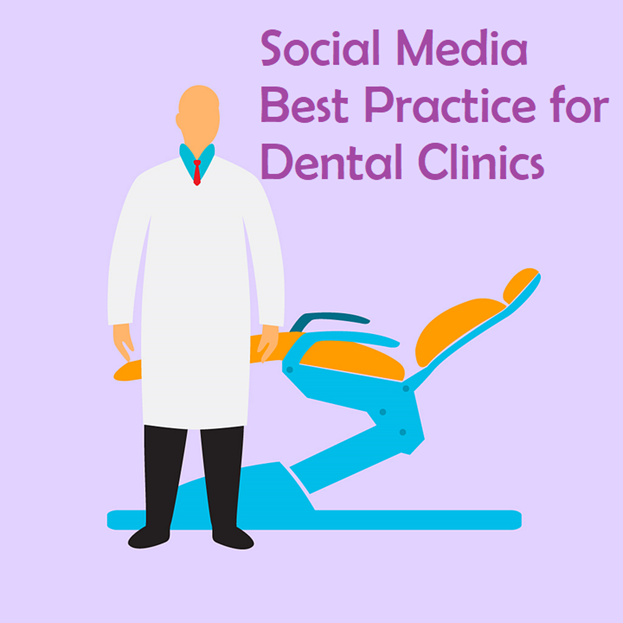 So to guide you on the right path, here are some best practices of social media for dental clinics. Not every dental clinic is the same. Some only provide dental restoration services while there are others that provide both cosmetic and restoration services. Similarly, not every social media platform is the same, some are good for sharing content while others are good to build connections. 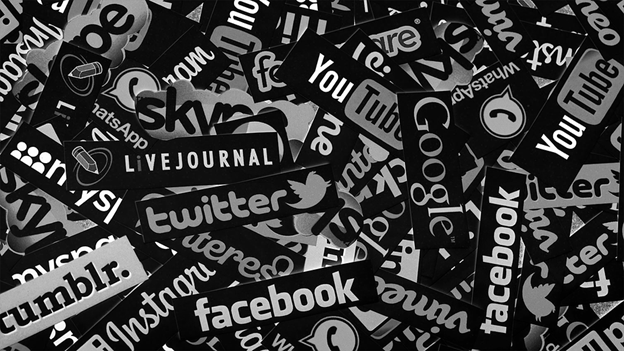 So before you simply start using social media, give a thought on which social media platform will be best suited for your dental practice. What type of audience are you targeting? Where can you find them? What goals do you want to achieve using social media? Do you want to increase awareness or get leads? How can you achieve those goals? Which platform will be suitable to achieve them? Google+: Google+ is a social media platform that is provided by Google. Compared to larger networking sites such as Facebook, the number of Google+ users are comparatively less. However, it does have a good feature of creating communities that you can use to bifurcate your followers and only share posts that are of interests to that community. For example, bifurcation of patients and other dental professionals into two different communities to share different content. Facebook: Facebook is extensively used in Canada with over 18 million active users. With such a large number of users, Facebook should be a part of your list. With the help of Facebook, you can highly engage your target audience as Facebook enables you to share different forms of content including videos. Also, Facebook is a good catalyst in directing traffic to your website through on-page buttons and other CTAs. Twitter: This social platform has limited word count but can easily accommodate the links to your website content. When your followers retweet your tweets, it ensures that your tweets reach out to a larger audience. The good thing about Twitter is that it enables you to creatively broadcast your blogs with catchy headlines and trending hashtags. LinkedIn: LinkedIn is the social media for professionals. If you plan to use it for your dental clinic, it will be helpful to share industry related news with other professionals who are related to your practice. This will show your expertise in your field and will help these professionals to direct patients towards you for expert opinion. Instagram: Instagram is a social media platform that is used by more visual brands that have products to display as it supports image and video-based content. However, you can use it for your dental clinic promotion by uploading dental infographics and dental procedure demo videos to ease patient anxieties. 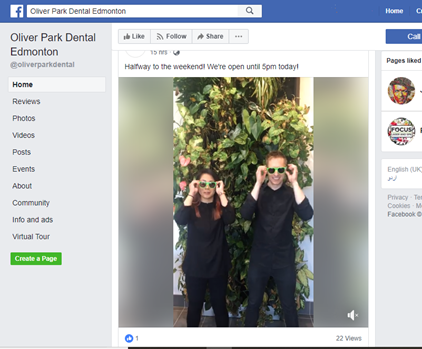 Casual Content: If you are one of those light-hearted dentists who can find humor in work to ease your patient’s anxiety, you should try uploading casual content on your social media pages. These could include funny memes, GIFs, images and humorous videos about something you normally do. User-generated Content: Off-late the popularity of user-generated content has increased drastically. This is because people tend to trust a brand more when the consumers themselves have something to talk about it or for it. So encouraging your patients to share and post on your social media pages can go a long way in building trust among the masses. Company-related Content: Another way to engage your patients through social media is by uploading content about your employees and yourself. This could be like behind-the-scenes sneak-peek for your patients. You can upload images of how your clinic looks, employees working, festive celebrations, etc. Such type of content sharing helps patients to relate with you at a humane level. Engagement specific Content: Posting the same images and videos, again and again, will eventually make your patients disinterested. Every now and then you should try something different to engage them. The best form of engagement takes place when the patients will also get a chance to share something. So why not post quizzes, questions, and contests. These could be some simple questions to earn a 10 percent discount on their next dental visit. Visual Content: A well-written piece of content can also go unnoticed if there are no images to support it. Human beings have an inclination toward visual content. So use infographics, images, and videos more often for better engagement. Social media is a good place to gain organic followers, but as a business, you need to push a little harder to get a good count of followers. When you start off, the number of followers will not rise automatically because not many people will be aware of your business page. To solve this problem, you need to consider using promoted posts, paid posts or sponsored posts. These are just like any posts you put on your social media pages. However, you pay a certain amount to sponsor the post and get it promoted. This is necessary for almost all types of business. With the huge number of posts present already, promoting your posts will get it the much-needed visibility. This type of posting is possible on all major social media platforms such as Facebook, Twitter, and Instagram. When businesses enter the social media marketing circle, there is one very important thing to keep in mind. 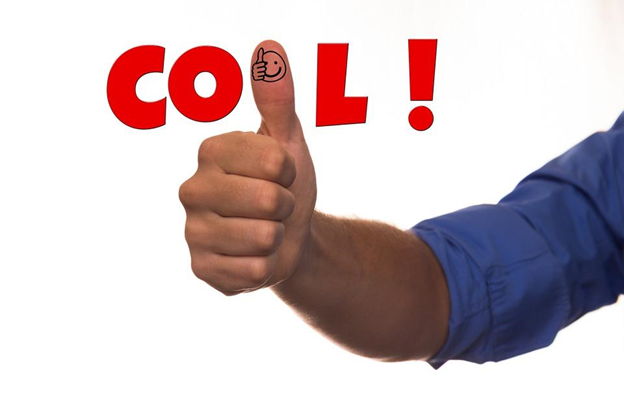 Since the social media setup is a more casual set up, businesses feel that using overtly casual language and slangs will help them get followers. This is not true. Though social media is a casual set up, and you have freedom of speech, you need to be careful that you do not offend anyone. The biggest mistake business make is to try using trending slang to become a fad. Do not do so! As a dental clinic choosing to use over casual tone may not go down well with your patients who look up to you. While you may feel that using over casual tone will connect with the audience, there is a major chance that it will put them off. This is because such language usage will make the patients feel that you are trying too hard. So make sure you understand the age group you will be addressing and accordingly use your language and vocabulary. Another thing to be mindful of is not hurting the sentiments of any specific person, religion, nation, in short anybody! Specifically when you are creating memes. While you are busy working on posting content on your social media pages, keep in mind that your competitors are also taking efforts to make their brand shine on social media. If somehow the competitor is able to post better content and get more followers, your efforts will go in vain. So to avoid this, make sure you keep an eye on what your competitors are doing. Competitive analysis is what you need. Competitive analysis helps you understand what your competitor is up to and gives you a chance to improve your strategies. To find out such data, you can simply use competitor analysis tools like Fanpage Karma. Such type of tools provides you with data that include influencers in your business, trending focus areas in your business, competitor’s best performing content, etc. The good thing is that, such tools help you find popular hashtags, the total number of likes your competitor received, number of followers, new followers, etc. A successful social media strategy does not stop after reaching a good number of followers on your business page. You also need to keep those acquired followers engaged so that the followers continue to follow you. The very first step in nurturing your followers is to initiate an interaction with them. Like we mentioned earlier, social media audience engagement is possible when you ask questions or hold competitions. Make it a point to do these often. Doing so often will showcase your social media page as an active one and the followers will want to keep coming back for upcoming posts. Also, indulge in encouraging your followers to do things on your page. For example, you can create a post asking for the most preferred toothpaste and why. Another important factor to keep in mind when nurturing your followers is to respond back on time. Social media is a two-way street. If you intend to post content on it, be ready for the comments you will receive. Receiving likes and comments on social media makes you happy. But as a dental clinic looking for business promotion, you need to go through every comment and ensure you revert back to them. This will encourage the users to comment frequently on your page. You decided to opt for social media marketing. You created social media pages. You posted good content and acquired a fair amount of followers. Now what? If you feel that you can simply stop creating good content and still have new followers or even the same number of followers, then you are mistaken. Social media is where people look for content and that too regularly, sometimes more than one time in a day. If you are not able to fulfill this need, be prepared to lose followers rather than gaining more. So if you want your followers to increase, keep posting good content on a regular basis. Sometimes you might be busy with too many appointments in a day but do not let that affect your social media posting. To take charge of this task, you can use smart tools such as CoSchedule and Hootsuite. These tools can help you pre-schedule your social media posts in advance so that you do not have to worry about posting them every day. Once your social media marketing kicks off, this really comes in handy. Social media is not as complicated as it may seem. Strategizing social media for dental clinics is just like managing your own social media page. Keeping this in mind, just post good content to keep your followers engaged and interested. If you need help in creating good content for your social media, reach out to social media experts in Edmonton.